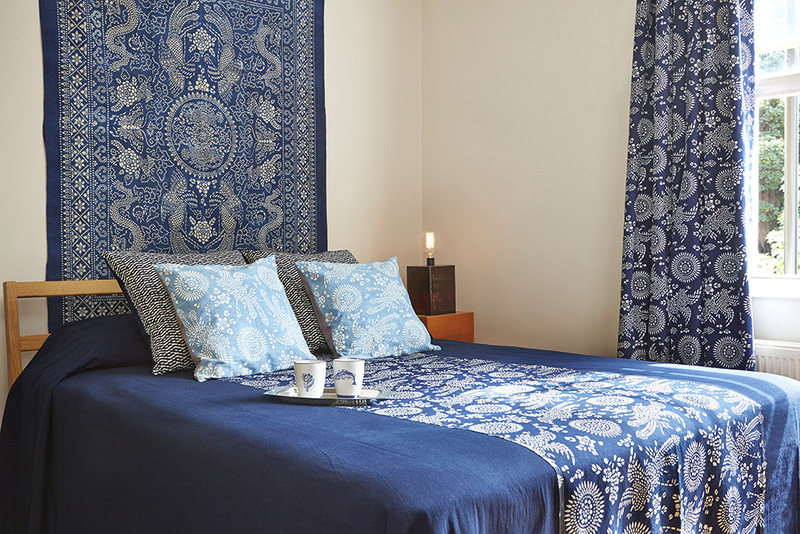 At home in Haggerston, hand made indigo textile and vintage fabrics for home interiors. Bluehanded’s fabrics are used for curtains, cushions and throws. A simple 2 up and 2 down home, with original period details wanted to a casual yet sophisticated soft furnishings theme. The owner, appreciating the artisanal and natural qualities of BLUEHANDED’s indigo textiles, choose the rich deep blue for their living and bed rooms. 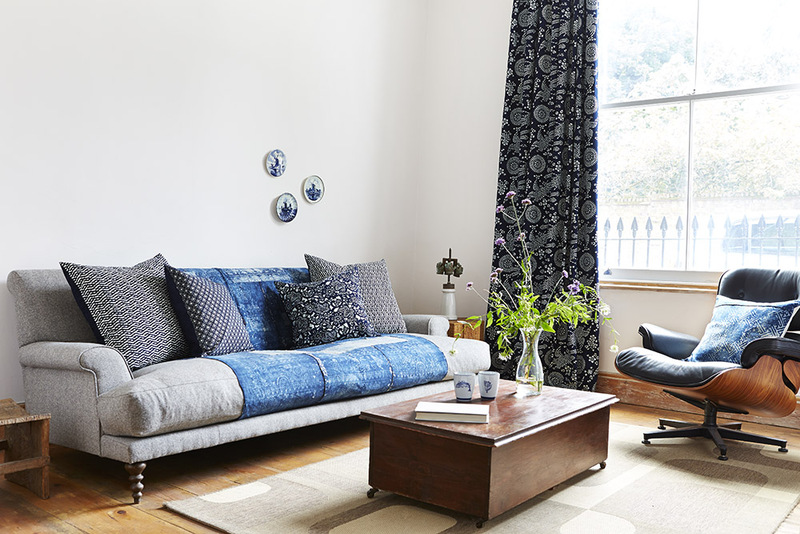 The sofa has indigo cushions and a vintage indigo throw, The curtains are also the hand printed indigo. Up in the master bedroom, the indigo is used on the bed and curtains as well. Hanging on the wall above the bed, is a 100 year old vintage indigo cloth that was originally a bed cover. The pattern of the bed spread and curtains is of the phoenix and peony pattern, which can also be seen on the vintage indigo wall hanging. It symbolises good luck and prosperity. Those are my dads dutch plates from the kichen…..how dud you get them to stick to the wall?